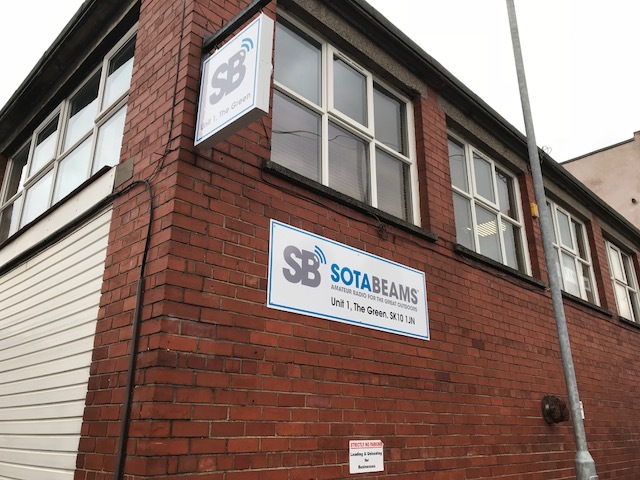 You are welcome to call in but be aware that SOTABEAMS is manufacturing and online sales business, not a shop. We have no showroom and no sales staff. However, orders can be collected by arrangement. This saves you the shipping charge. Payment can be made by cash only - although it is often easiest to pay for your purchase online beforehand using the "Collect from factory" shipping option. PLEASE CALL US ON 01625-501643 BEFORE SETTING OFF TO AVOID A WASTED JOURNEY: WE MAY BE OUT! Overseas visitors please note that if you collect your goods here in the UK, 20% sales tax (VAT) will be payable - it is often cheaper to have them shipped.